What Happens To Your Letters? When Swamiji was in his physical body, he received and replied to thousands of letters from devotees all over the world, offering them spiritual guidance, practical help and peace of mind. 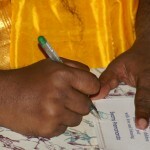 It is still possible to write letters to Swamiji. They can be sent either by e-mail to contact@sripremananda.org or by post. Your letter will be placed on Sri Premeshwarar lingam after the morning abhishekam. Afterwards all letters sent to Swamiji are burned once a month in a small fire ceremony. 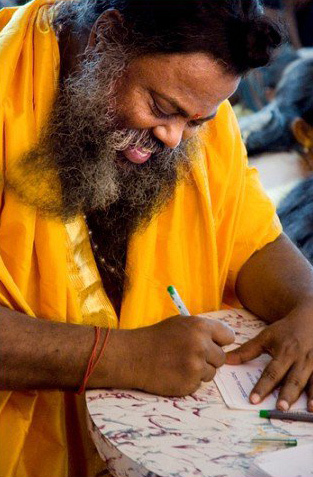 What happens to your letters when you write to Swamiji. People from all over the world who had faith in Swamiji, including those who had never met him, contacted him through letters. They wrote for solutions to their problems, to cure their illnesses, get rid of bad habits and, above all, have peace of mind. That we could write to him and receive his personal reply, was indeed a rare opportunity and a great gift. There are also many people who wrote a letter to Swamiji, put it in front of his photo and got a solution to their problem. 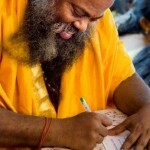 Swamiji said that whenever you write to him, at that very moment he knows it and he starts to take action. Countless people have experienced this and they are still doing so. The Sri Premananda Ashram is situated in the village of Fathima Nagar, about 20 kilometers south of Tiruchirappalli (Trichy), Tamil Nadu, India. 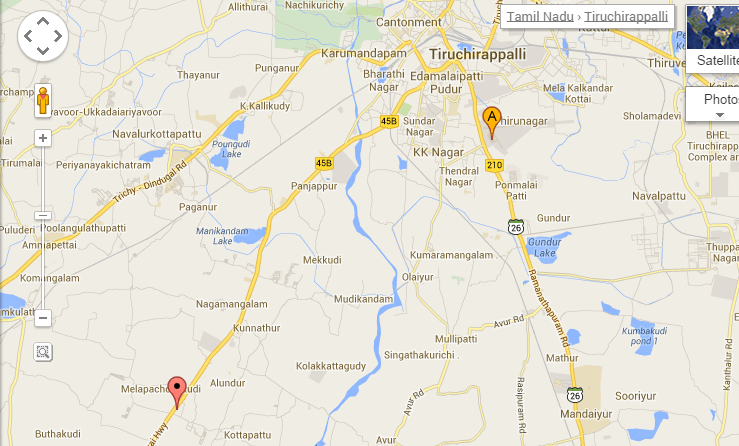 Trichy has a small international airport, a railway station and two bus stations. From Trichy there are buses and taxis to Fathima Nagar. 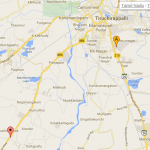 Fathima Nagar is situated on the Trichy – Madurai road.